If you are looking to having a beach ceremony for your special day, you are more than likely going to want to use beach-style wedding cake. As all brides to be are more than aware, beach wedding cakes are often the most interesting, brightly colored, exciting and unique of all cakes. Wedding cakes are incredibly easy to adapt to your wedding decorations and chosen a color palette, and with the help of Ana from Cake Studio Bavaro, you can be guaranteed to receive an exceptional wedding cake that suits your theme and your taste. It’s all about patience and the finer details. Achieving the perfect wedding cake for any bride requires a lot of time, expertise, fine detailing and most of all, patience. And with a seven-year-old daughter, Ana has plenty of that. Ana moved to Punta Cana from Serbia in 2011, after falling in love with the picturesque town back in 2003. Now as a resident, Ana has a keen eye for detail that works perfectly and is able to compliment any ceremony, and let’s not forget the amazing tastes of the Caribbean. Ana is more than happy to discuss any local exotic and unique flavors that you would like to try and can recommend some of the locals finer tastes to excite your palate. Not only that, if you have any special requirements, Ana is able to accommodate for gluten, dairy and nut-free variations of her beautiful cakes along with vegan options too! When looking at Ana’s outstanding wedding cakes you would never believe that baking cakes were never her original plan in life. She originally worked in a local dive center and achieved her accredited dive master status. But it was only until she had to bake her daughter a birthday cake for kindergarten that she soon realized she had a talent for cake making. With many of the teachers and fellow parents expressing their delight for Ana’s cake, it was only until her daughters teacher persuaded her to pursue this line of career. Playing it safe, Ana gave it a thought and spent countless hours creating butterflies, flowers and other delicate features out of her daughters Play-Doh. With over 3 months of practicing and research on how to deal with problems that may occur in the kitchen, making and sourcing materials, it was time to give cake making another shot. Armed with a Facebook page, and self-taught knowledge, Ana set out finding new clients, while baking and selling cakes for family and friends. It wasn’t long until Ana found herself working with Paradisus Punta Cana and Melia, producing bespoke wedding cakes, before moving on to her own project, Cake Studio Bavaro. Cake Studio Bavaro was born. 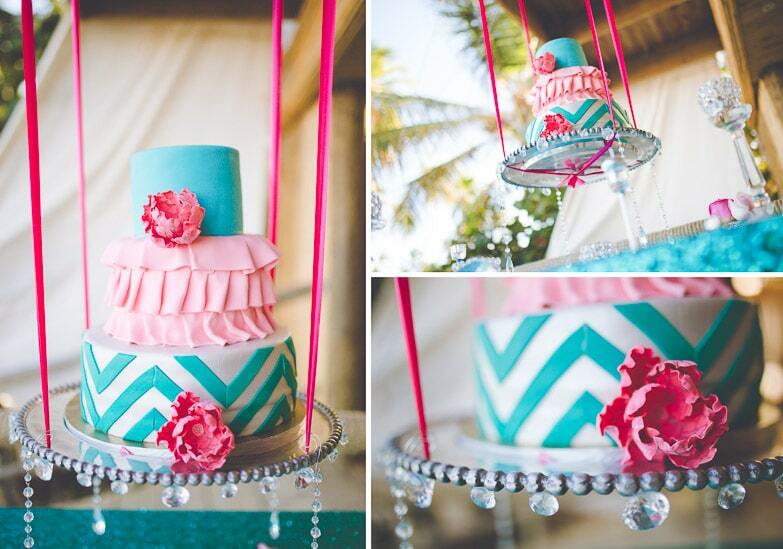 Now with over three years of business experience in cake making, Ana continues to produce beautifully crafted and unique cakes for countless of brides that step foot on the pristine shores of Punta Cana. Each and every cake crafted by Ana is unique, even for brides who bring an image of their dream cake will often receive a slight alteration that is more personal to them and their special day. With such growing popularity for her cakes in and around the area, she is now looking to expand her business with her sister; it can take many hours to produce a wedding cake, and with so many orders coming in, an additional pair of hands is most certainly needed. And sure enough, she is the most talked about cake maker in Bavaro, with thanks to her patience, determination, and perseverance, so if you would like to experience the delights of Ana and her fabulous cakes, feel free to get in touch for helpful and second to none advice.